Inside: No parent wants their child to be bullied. But can we prevent it? 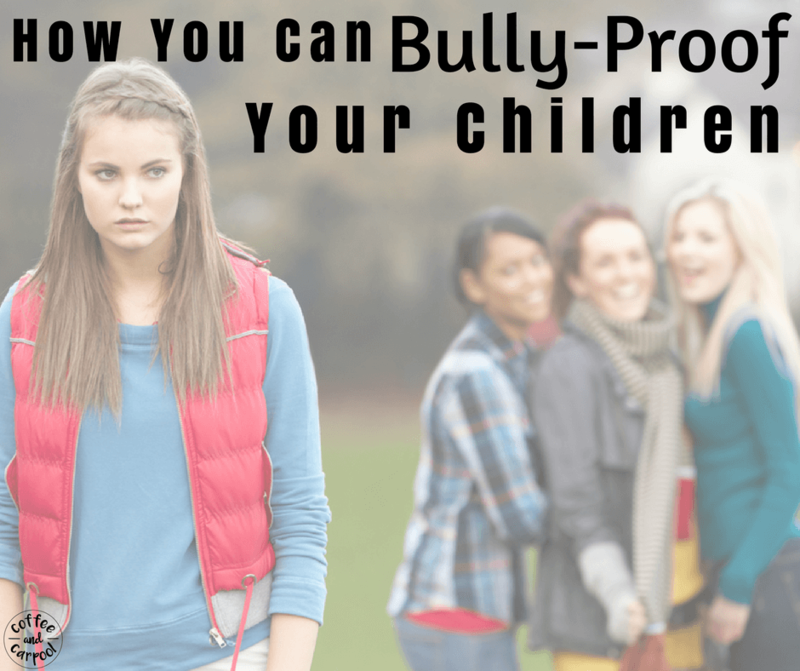 Can we bully-proof our kids? 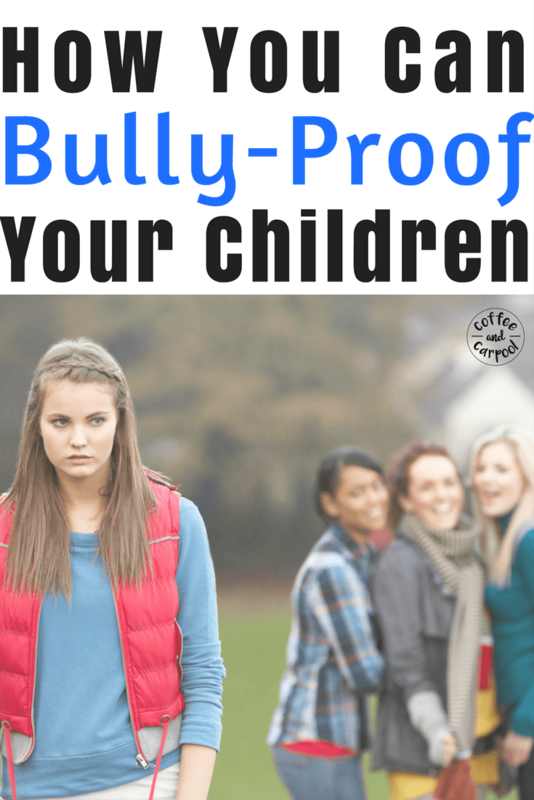 Here are 14 ways parents can bully-proof their kids and prevent bullying before it happens. My daughter came home with yet another story of being bullied. This time by a girl in her class, during class time with the teacher in the same room. There was a movie on, the lights were off, so the teacher saw nothing. This is not the first time she was bullied, nor will it be the last time. Unfortunately, my daughter is one of the 3.2 million kids bullied each year. She is part of the 90% of students in 4th-8th grade who report being bullied. And the stories she comes home with are heart-wrenching. This time, the bully followed my daughter around the carpet kicking the heel of her shoe into my daughter’s spine. Every time my daughter moved to get away from her, the bully followed her and did it again. This goes beyond the times when she’s teased for her shoe choices and her inability to kick a ball hard. My daughter is straight up being bullied by kids who are knowingly and repeatedly hurting my daughter with malintent. It’s malicious. It’s repetitive. And it’s cruel. There are of course steps we took once we knew she was being bullied (bullied kids often won’t tell you) and there are ways to help protect them emotionally so the bullying doesn’t break their spirit. And we are of course in contact with her school and her teacher and the administration and we document everything. But what about before the bullying starts? Is there a way to prevent bullying? 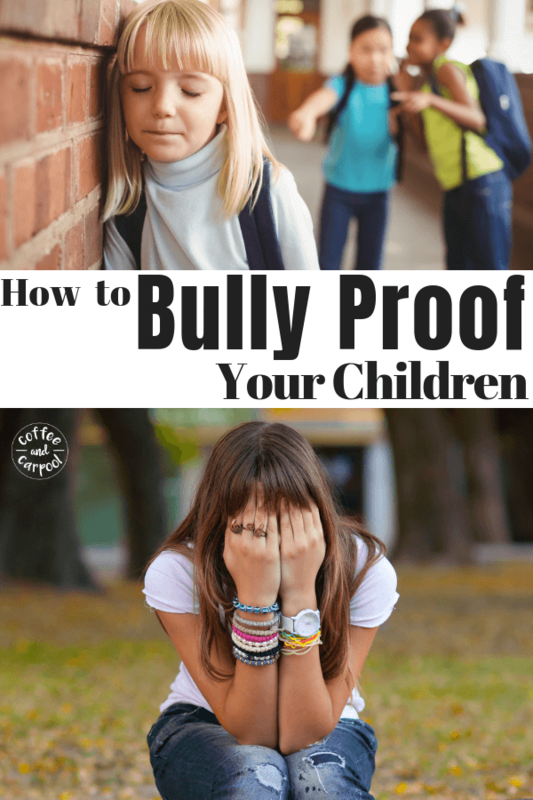 Can we bully-proof our kids? While we can’t stop or prevent all bullying situations, there are things we can do that will bully-proof our kids. and make sure they’re not part of the bullying problem. 1. Ensure your child has several different positive peer groups. If your child struggles with the kids at school, when they know they have a strong group of friends somewhere else it can be invaluable for their self-esteem. Bullied kids have to know mean kids and bullies are not the norm and are not going to be everywhere. Bullied kids also need to know there’s nothing “wrong” with them, and they are worthy of and deserve valid, genuine, long-lasting friendships. Kids can find positive friendship groups at religious school, in Scouts, and on sports teams. 2. Get to know your kid’s friends. Say yes to playdates or hangouts or study sessions. Allow your child to invite other kids over often. You can listen in and “audit” the friends your child spends time with. Who’s in charge? Who encourages reckless/thoughtless behavior? Who succumbs to peer pressure? All valuable information. Get your hands on whatever the kids are interested in. The going currency one summer in our neighborhood was Perler beads. The kids created and I listened to their conversations as I ironed their creations. Getting to know the kids my son plays with was worth the mess of the beads. Because when you know these kids well, you’ll know which of them will be allies. You’ll know who will stand up for other kids. These kids will be their buffer on the playground and in the cafeteria. 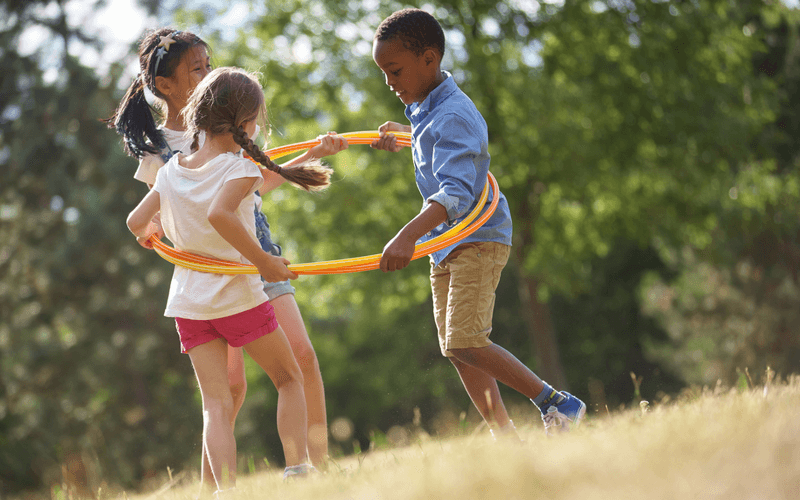 When kids have someone to play with during social situations, they’re less likely to be alone. And bullies tend to target kids who are alone. 3. Teach them to stand up to peer pressure. Remind your kids they don’t have to say ‘yes’ to their friends. A lot of kids get peer pressured into, “if you don’t do this, I won’t be your friend anymore” situations. Help your kids prepare for these kinds of situations. Role play tricky situations and give them the words they will need to stand up to their friends or walk away. Kids who are manipulated by peers or are desperate to please their peers to fit in will do what is asked of them. Even if it harms themselves or another person. 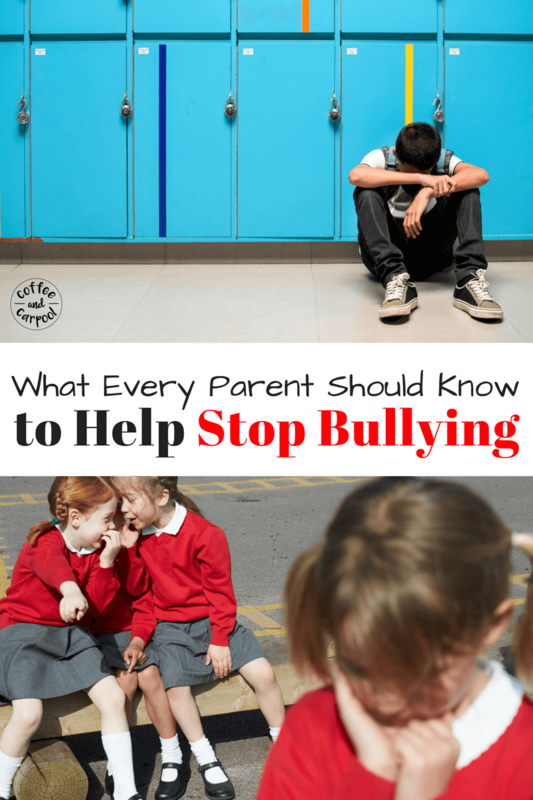 Help your kids learn to stand up to their peers and walk away if they feel uncomfortable. 4. Volunteer in your child’s class so you see them at school in their classroom environment and you get to know their classmates. Volunteering consistently in my daughter’s class proved to slow down a few of my daughter’s bullies last year. When I witnessed one bully mid-act during a volunteer session, I looked him in the eye with a cocked head, and said: “It kind of stinks being caught being mean to someone.” And then I stared him down with a pissed-off-Mama-Bear-smile. He left my daughter alone after that. As an added bonus, volunteering creates a better working relationship with your child’s teacher. Which you will need if your child is bullied at school. 5. Talk with your child about their day. Each day after school my kids tell me three things about their day. Sometimes it’s mundane information about who stayed home sick and what game they played in PE and who lost a tooth. But sometimes I get nuggets that are invaluable insight. At dinner each night, we also talk about the happy part and the sad part of our day. Sometimes we call it “High/Low” and talk about the high of their day and the low of their day. One night my daughter broke down in tears because she was finally ready to tell us something that had happened to her days earlier at her music concert. It took three days of High/Low before she was ready to tell us her true low. Our kids have to know they can tell us everything and we will listen. If they know we’re listening when the stakes are low, they’ll come to us and tell us when and if they’re being bullied or see bullying happening around them. 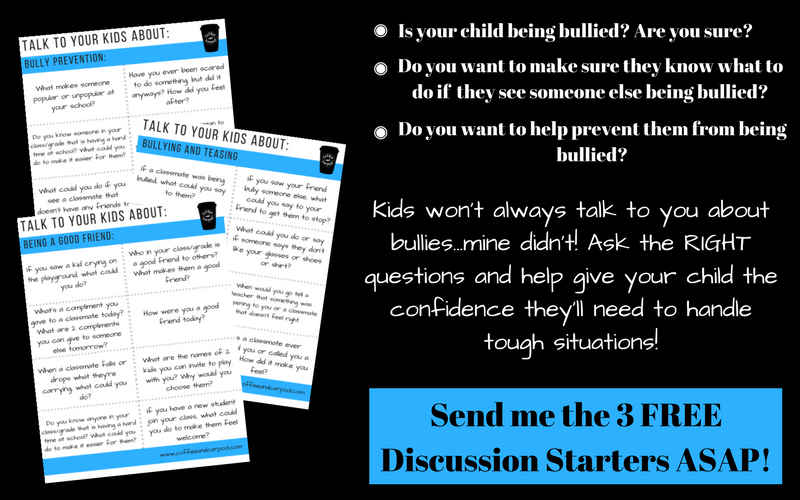 Do you need discussion starters to help start the talk about bullying? These are perfect. 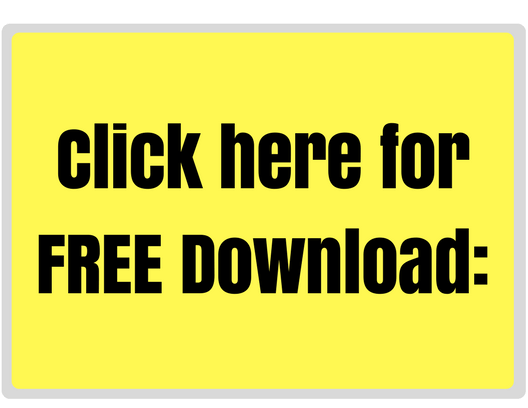 Get them for free here. 6. Encourage your kids to include others. Most bullies pick on kids who are alone: the kids who sit alone, play alone, or are emotionally isolated from their peers. So I teach my children if they see a kid sitting off to the side, playing by themselves or eating alone, to invite them over. I teach them to be an includer at recess, on the playground, and in the cafeteria. If your kid’s school doesn’t have a Buddy Bench yet, get one approved for and funded for the playground. Buddy Benches have real power since they can turn a lonely kid into an included kid. 7. 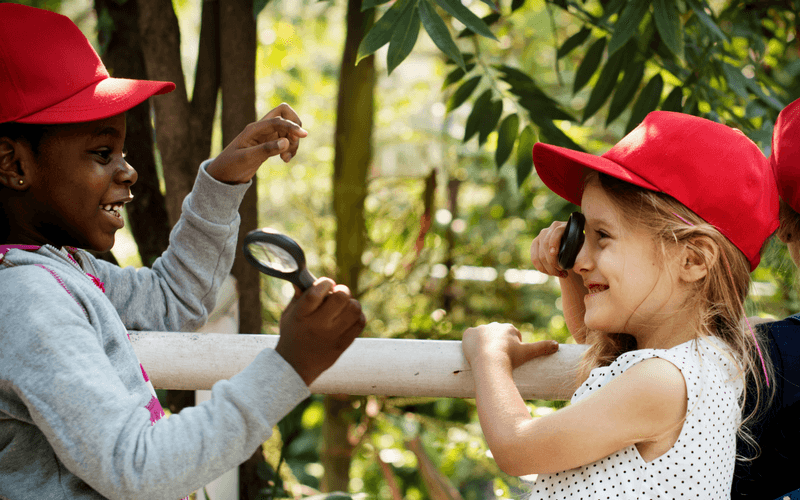 Model the same behavior as an adult and invite other moms to join your group. Follow your own advice and model how you want your kids to treat others. Introduce yourself to the new mom. Invite the quieter mom over for some wine. Introduce yourself to the mom standing off to the side by herself. If you’re lucky enough to be part of a mom tribe, invite other moms to join in. This isn’t junior high. Be an includer. 8. Teach your kids it’s okay to be different. We talk about differences all the time in our house and how we value them. We point out our differences and discuss often how it’s okay to be different. We value our differences. We celebrate our differences. Because when our kids value and appreciate our differences, they won’t be turned off by them. They won’t get talked into using other kids’ differences as an excuse to bully or be a passive bystander while the “different” kid gets bullied. 9. Teach them the difference between tattling and telling. When my kids were little, this was an important one for me. I needed them to know they didn’t need to come to me for every little thing. Tattling was annoying. But now that my kids are older, this one is crucial. But for a very different, scary reason. My daughter has told me on several occasions she didn’t want to tell me about being bullied because she didn’t want to get the bullies in trouble. It is imperative, especially as she heads into her tween and teenage years, my daughter knows that when she’s hurt, or someone else is hurt, or when someone is about to get hurt, she has to tell. Telling is the right thing to do. No matter what the person hurting you says. She has to get help from a trusted adult. That’s not tattle telling. My daughter can not think she has to protect people who hurt her. She has to know victims never need to protect the people who hurt them. 10. Encourage your kids to tell you how they’re feeling. We need to encourage our kids to talk about how they’re feeling. They need to know it’s okay to be mad or sad or embarrassed and can still come to you. They have to know this before they’re in a tricky situation with bullies. They have to know you’ll be a safe place for them to come to. So encourage them to talk about their feelings. Let them cry. Let them hit their pillow. Remind them it will be okay. Maybe they don’t feel okay right now. But they will. This is a solid message for all of our kids for a myriad of safety reasons. It’s a message our daughters and sons need to hear from a very young age. I teach my kids that they are in charge of their bodies. And they get to decide when enough is enough. So when they ask me to stop tickling them, I stop. Immediately. This teaches them that if a “friend” doesn’t stop when asked, they’re not a safe person to be around. 12. Pour into them so your kids know home is a safe place. Our kids have to know home is where they can be themselves and find love. We have to ensure they feel loved daily. Of course we all love our kids. 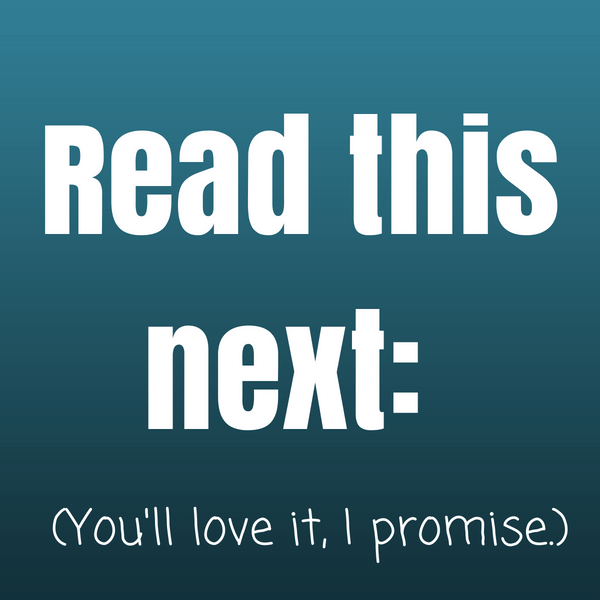 But in the day to day craziness of homework and chores and dinner, we don’t always remember to show them we love them. Kids who deal with bullies and bullying have to KNOW we love them to their core. It is imperative they know they are valued and wanted and worthy. We show our kids we love them by spending time with them. By connecting with them. By really knowing who they are as people. And by making them feel good about themselves. We can do something they love or something we love or try something new together. But when we spend quality time with our kids and work to create a strong family identity, they will be more vaccinated against a bully’s hurtful words. 13. Point out injustices when you see them. Life is unfair. We see it all the time. Adults harass and bully other adults on social media, news broadcasts, TV sitcoms, and in real life. When I see it, and it’s appropriate to discuss it, I point it out to my kids. We discuss what we would do or say if we were standing right there. We talk about what is kind and what isn’t. We talk about ways we can stand up for people who need a voice. 14. Praise kindness and make it one of your family rules you expect. And like we discuss the injustices, when we see kindness in the world around us, we point that out too. We discuss what we saw that showed above and beyond kindness. We compliment perfect strangers when we see their kindness to show our kids and the strangers we value it. In our family we celebrate kindness. We expect kindness (it’s actually one of our two family rules). And we reward kindness. Related: What every parent needs to know about raising kind kids. Because kindness is contagious. So if we teach kindness in our home, it will spread. Kindness will spread throughout our community and to our kids’ school. It will spread to those people who are being bullied. And it may even spread to potential bullies who need someone, anyone, to do something nice for them. Which will not only bully-proof our kids, it may also bully-proof a bully. 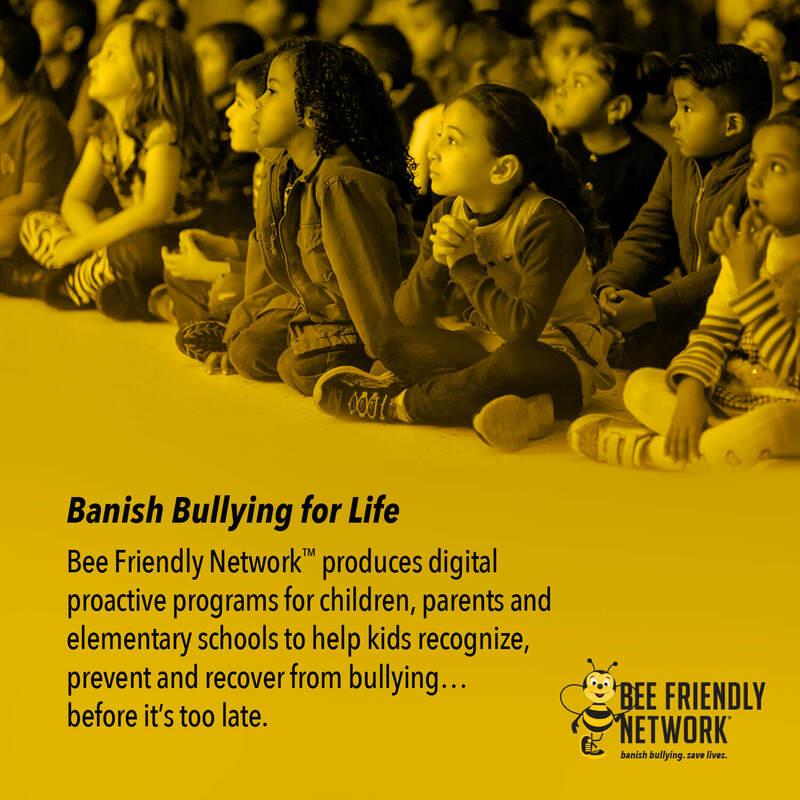 I’ve partnered with the Bee Friendly Network to help families recognize, prevent and recover from bullying. Click here to see how they may be able to help your family. Join our Bully Proof Our Kids Facebook Page and help stand up to bullying. And join our Support Group for Parents Whose Kids Have Been Bullied Private Group for support, encouragement, and friendship from other parents who’ve been where you are. Love this article! Great practical advice! There’s one thing any bully hates and that is an instant reaction. Teach your child not to take prisoners from the get go. The bully will move on to an easier target. My son became his bullies worst nightmare. Not reacting or showing emotion to a bully’s first “attack” is a good idea, but can be tricky for some of our more sensitive kids. My daughter wears her heart on her sleeve and really struggles with this. But it’s something we can work on! I think karate is a great idea! My eldest is in it and the amount of confidence it gives her is fantastic to see! It’s not about violence. It’s about body awareness, body control, and confidence. Encouraging your quieter daughter to speak up when she has something to say will be something you may need to work on so that she feels empowered to tell peers “no” or knows that she can approach a teacher or you if something is happening she doesn’t feel good about. I’m so glad it resonated it with you! Yes, it can be scary. But with our help, our kids will survive it. They will thrive in spite of it. I’m glad the ideas resonated with you.